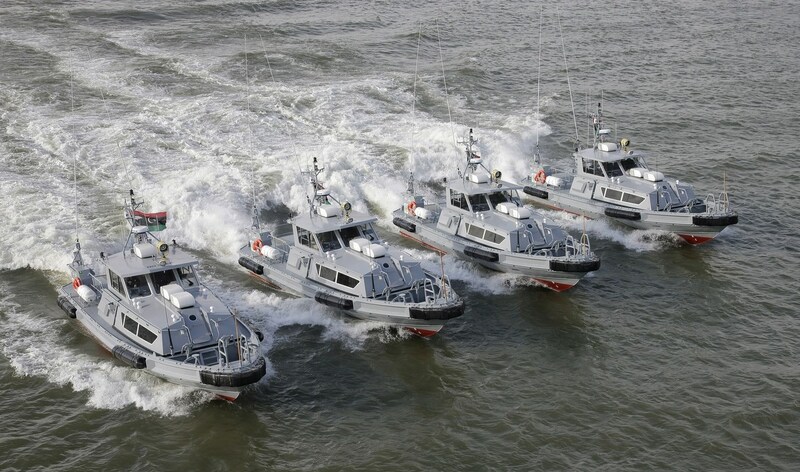 Home › Stan Patrol › Stan Patrol 1605 › Stan Patrol 1605 "Burdi", "Sloug", "Besher", "Izreg"
In December 2012, a series of four Damen Stan Patrol 1605s, were delivered to the Libyan Government for coastal protection duties. These were followed by a second series of four Damen Stan Patrol 1605s in March 2013. The patrol craft are successfully operating along the Libyan coast.